This little build by Disco86 is a wonderful example of an expert use of space! 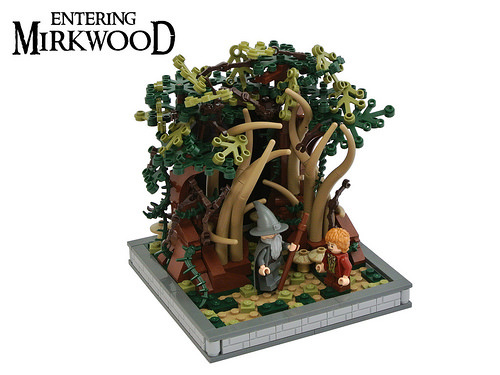 Even though it has a very small footprint, the builder was able to really give a sense of the size and creepiness of Mirkwood Forest. Also, even though I personally am getting tired of every fantasy and medieval creation having a border, it really does work on this one. The border is simple, frames the scene nicely and gives you the feel that this is a section of a much larger whole. Beautifully played!